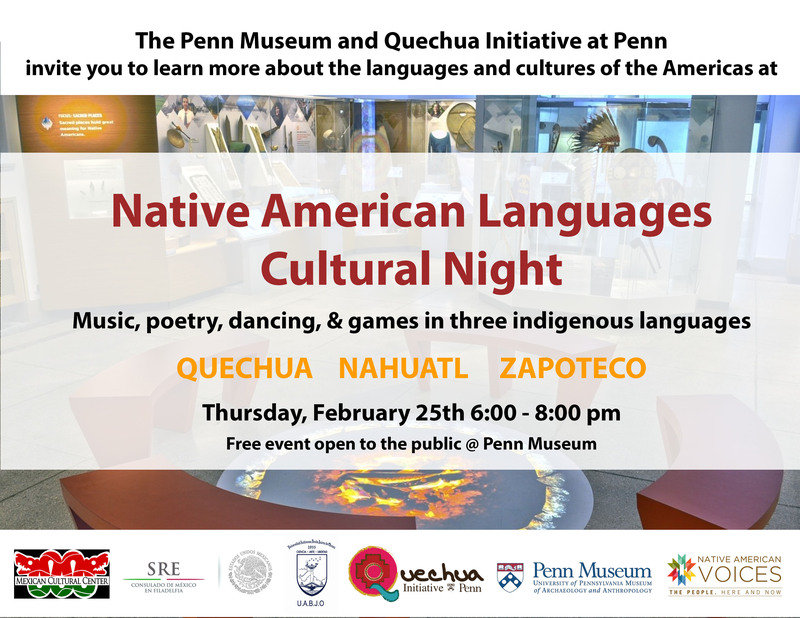 Join us for a night with music, poetry, dancing and games in three Native American languages: Quechua, Nahuatl and Zapoteco. We invite you to learn more about the languages and cultures of the Americas. For this event we will have the special visit of faculty members from Benito Juárez University of Oaxaca, México.